I am finally loading up a few kid’s apps onto the family iPad. We are a screen-wary family. Not 100% against all things electronic, by any means, but just very mindful of what kind of media we expose both ourselves and our daughter to. I am not against TV per se, I’m just not into bad TV, if you know what I mean, and this policy runs through all media… books, film, music and video. Blek is a beautiful combination of elegant simplicity and a game that is really really challenging. Even for grown ups. In fact, I had to put on my pre-school teacher hat and remind my husband about the importance of sharing and letting everyone have their turn. There is no loud annoying music, no gun shots, no explosions. Just draw a little black line with your finger and try to hit all of the colored dots without touching the black ones. 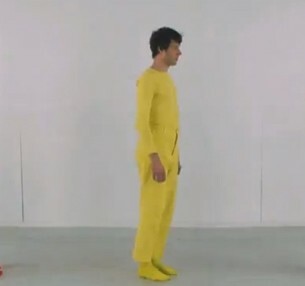 It’s about doodling, making patterns and spacial problem solving, but it’s hard to describe, so just watch the trailer. Or if you really want to go deep, read this review, which does a nice job of explaining everything. Bloom is a generative music app created by Brian Eno. Which is all you need to know. But here’s a bit more. Created with the clearly brilliant software designer Peter Chilvers, this app turns your phone (or tablet) into it’s own unique musical instrument rather than trying to pretend that it’s a piano or a guitar. You make a pattern and it repeats. You add on to it and the pattern becomes more complex. You can also just turn it on and let it do its thing. An informative review, for the curious, is on gizmodo. 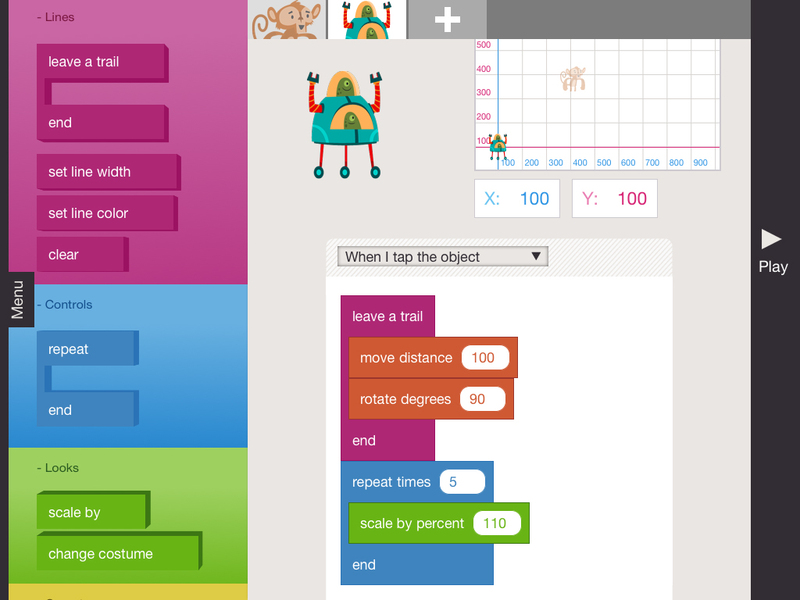 A screenshot of Hopscotch, a programming app for kids. Hopscotch is a coding app for young kids, or really anyone who wants to understand the fundamentals of computer science, which they define as “the study of computational thinking, or how to use logical thinking and abstraction to develop generalized solutions to complex problems.” And who doesn’t want their kids to master that? Basically this app allows you to make games, stories, animations, etc by dragging blocks of code into specific arrangements. The code is translated into English, so that even the youngest programmers can make things happen on their own without having to struggle with difficult computer syntax. But the commands are the same, which makes moving into the more advanced stages of programing a snap for all interested parties. Waaaay back in the 1970′s, when I was a kid, we learned how to make simple computer games using BASIC (this dates me…) and I still remember the thrill of getting the terminal to go through my predetermined motions and print out whatever I wanted. It was a profound and intelligent introduction to technology as a tool that I will never forget. Now we have animals jumping through hoops and standing on their heads, but the basic intent is the same. If we can help the next generation to understand that these digital objects are tools with which we can help to create a better universe, our future begins to look very bright.